The Taking Teacher Further programme, launched in June 2018, is a national programme to attract experienced industry professionals with expert technical knowledge and skills to work in the Further Education (FE) and training sector and support the ongoing exchange between FE providers and industry. Applications are currently open for second round of the Department for Education-funded initiative, managed by the Education and Training Foundation. 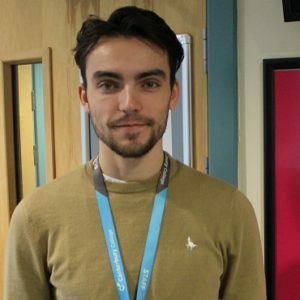 Two new EKC Group lecturers, Tom Isted, Lecturer in Games Development / Digital, and Shaun McDonagh, Lecturer in Plumbing, talk about their move from industry into the FE sector through the first round of the Taking Teaching Further programme. The EKC Group is an organisation that manage five community-based colleges across East Kent. “Before deciding to become an FE lecturer I worked in video game development and design. This involved working on creating games, 3D digital modelling and attending conferences and events. My role was as a digital concept designer working across a range of digital based jobs. Prior to that I worked in web development building websites for clients. “I wanted to change careers and work in FE as a lecturer to continue to build on my own knowledge through being a teacher. I wanted to support students in helping them get into the industry by sharing standard working practices in digital creation. “From my industry experience I have seen that there is a need to build the confidence of new employees working in the digital workplace. I wanted to pass on my skills to ensure that students become confident digital creatives in the future. “I saw working in FE as a great opportunity to change careers whilst still working with digital technology, but within a teaching context. “I am really enjoying the role so far as the lessons have been a lot of fun despite the stress and the challenges. I am enjoying getting feedback from students on their classes, getting a sense of satisfaction from seeing them make gains and progress and knowing that they are learning. “I ran my own plumbing business for 18 years, designing, building and maintaining systems in both domestic and semi-commercial environments. I employed a small team of people and have had apprentices completing their practical work on site with my company. In running my business, I had a dual role, as both the manager and as a plumber on the tools. In addition to being a plumber I had a specialist background in lead work, working on Canterbury Cathedral in the past as a lead worker and restorer. “I wanted a change of career and a new challenge but wanted to stay connected to my trade. I saw FE College teaching as a perfect way to keep connected to plumbing but doing so in a very different role. 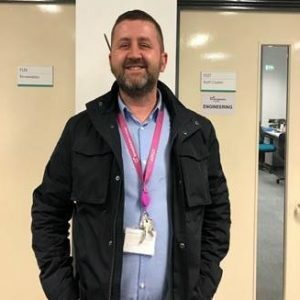 “I was planning to work for the Royal Engineers in a training capacity but saw the advert for a Plumbing Lecturer and was made aware of the trainee programme, so I chose FE as I wanted to work with young adults and to put something back into the industry. My aim is to train the next generation of plumbers and to make sure that they can do the job properly. I want to promote plumbing as a craft with a high-level skill and professional expertise and feel that I can do this through training and working as an FE teacher. “On a personal level, I wanted the job security of being a teacher, and as a new career it has given me more flexibility to spend time with my family, improving my work-life balance. “The role has been completely different to my first expectations in terms of working with the students and some of their behaviours, and the job has been quite challenging! I have really enjoyed it so far – watching them grow their skills and learn the trade, and I am looking forward to seeing students make good progress on the course. The students are all so different and each class is unique, and it feels like they are re-training me! It is making me very keen to learn the job and improve as a lecturer. “I am enjoying working with a very professional team at EKC as there is a clear structure and support when I need it, and I have been fully accommodated into my new role. Applications for the second round of funding for the Taking Teaching Further programme close at 12 noon on 15 February 2019. For more information about the initiative and guidance on applying visit the Education and Training Foundation website.